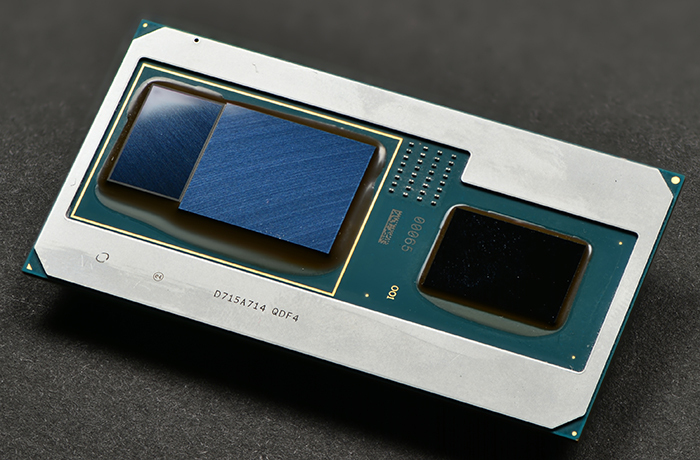 Intel could be looking to develop its own discrete GPUs and package them into an MCM similar to the Intel-AMD MCM we've seen at CES. We could see this implementation starting from the upcoming 10th generation Core family. 1/16/2018 Changelog — The original version of the article incorrectly referred to a picture of an older Intel board. The article has now been updated to remove the incorrect reference. We're just fresh out of all the happenings at CES 2018 last week and while fans and the press alike are equally elated about the new 8th generation Intel CPUs with Radeon RX Vega graphics, we are getting information that Intel could very well be developing its own discrete GPU and not rely on AMD tech in the coming generations. There's word in the wild that Gen. 12 and Gen. 13 of Intel GPUs are in the works and they are internally codenamed 'Arctic Sound' and 'Jupiter Sound' respectively. Ever since Raja Koduri moved base to Intel from Radeon Technologies Group, everyone thought it would not be long before Intel releases its own discrete graphics solutions. Looks like we are starting to see indications of his work happen. Ashraf Eassa, a tech stock commentator with The Motley Fool claims that Gen. 12 of the Intel graphics architecture would be codenamed 'Arctic Sound' and this would be a discrete GPU (dGPU) unlike most of Intel's offerings today, which are integrated GPUs (iGPUs). The latest Intel iGPU generation we have right now is Gen. 9.5, which includes the Iris Plus Graphics 650, and the UHD Graphics 630 among others. Going by Eassa's tweet, there could be intermittent GPU generations before we get to see 'Arctic Sound' sometime in 2020. Also, on the cards is Gen. 13, which is codenamed 'Jupiter Sound'. Intel could be looking to develop these discrete GPUs as multi-chip modules (MCMs) connected by the EMIB PCIe lanes just like the Intel-AMD MCM we have today. Exact details of these two generations are unavailable right now. But it can be somewhat assumed that 'Arctic Sound' has a probability of being paired with at least the 10th generation 'Tiger Lake' 10nm CPUs that are scheduled to hit sometime in 2019 - 2020. While 10nm chips could debut with the 'Cannon Lake' family, we see that is mostly reserved for more mobile form factors. The 10nm family also comprises of the 'Ice Lake' CPUs, possibly belonging to the 9th generation, which might still continue with iGPUs. Intel's moves in the dGPU space will be closely watched, given that Raja has a good know-how of most of AMD's IP in GPU technology. So, can Intel be a worthy contender to the likes of AMD and NVIDIA in the GPU space? Our guess is as good as yours.